The Chinese Navy nee the People’s Liberation Army Navy has been evolved on the above philosophy. The PLAN is now focusing beyond merely achieving the capabilities required for a military resolution of the Taiwan issue. In an effort to demonstrate to the World, China's ability to deploy a multi-layered and multi-armed defensive ring around its territorial waters, the PLAN has conducted long-range missile tests off the coast of Nanjing military region featuring PHL03 multiple-launch rocket systems. These have a range of some 150km and can fire precision-guided munitions. 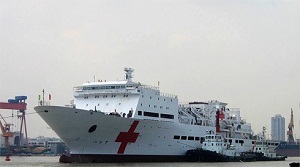 The 10,000-tonne Peace Ark, China's largest hospital ship has also been sent to conduct medical exercises with countries in the Gulf of Aden and along its route. Its “Soft power” sinews are symbolized well, through this deployment wherein its medical crew would provide assistance in Bangladesh, Seychelles, Djibouti, Kenya, and wherever needed. Over the last three decades China has grown long sea legs as is evident from the above. Leaning from perhaps the British, the Americans on the value of sea power, it has built and still building a reckonable military maritime force that is capable of denying access and raising the threshold of intervention not only in the military sense but also in the context of economic impacts. “A maritime education center opened on Wednesday, 09 June 2011 in Qingdao, a coastal city in east China's Shandong Province, The center opened on the "World Ocean Day" and aims to boost the public's knowledge of China's Ocean resources, said Li Yaozhen, a deputy party chief from the Ocean University of China. Located on the university's Laoshan campus, the 400-square-meter center showcases marine organisms, models of Chinese warships and a "sand map" that displays China's maritime rights and interests. 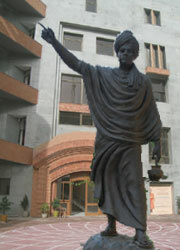 The State Oceanic Administration sponsored the construction of the center. The center will not only be educational for students, but also for the whole Nation, said Li .China has abundant marine resources, with 3 million square kilometers of offshore waters and 32,000 kilometers of coastline. China's maritime industry saw a record annual profit increase of 13 percent over the past five years, hitting 3.8 trillion yuan (579 billion U.S. dollars) last year and employing more than 33 million people. China should stick to the policy of coordinating the development of its land- and sea-based economies during the 12th Five-year Plan period (2011-2015), Chinese Premier Wen Jiabao said in April, adding that China should explore and utilize ocean resources and speed up the development of its marine economy”. It is a maritime strategy which seeks to secure China's access to energy resources and to give it more diplomatic leverage in territorial disputes with its neighbours. It has been able to draw on a military- industrial base and research and development capabilities that have gained maturity through two decades of reform and military modernization. Of late, Chinese naval and coastal-defense exercises have been unusually intense and numerous. Moving away from the heavily scripted affairs of the past, the emphasis has been on 'real-life' combat situations. Focusing on littoral defense, rapid mobilisation, command-and-control flexibility and longer-range projection, the exercises have been highly significant for the development of the PLAN. In early April 2010, 16 warships from all three fleets (the North, East and South Sea Fleets) conducted an unprecedented maritime exercise. The vessels sailed within 140km of the Japanese island of Okinawa, through the Bashi Channel, and in the direction of the Malacca Strait. The ships conducted live-firing and anti-submarine drills along the Chinese coast, during which flotillas and air regiments from numerous PLAN bases simulated attacks on the training fleet. 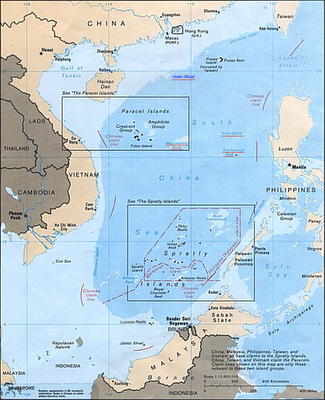 The exercise demonstrated that the PLAN had achieved its greatest-ever level of operational flexibility in the simultaneous deployment of underwater, surface and air assets, and has the confidence to sail over longer distances as it seeks to reinforce Chinese territorial claims in the South China Sea. In July, PLAN fleets conducted a series of drills in response to United States–South Korean naval exercises in the Yellow Sea. Though Beijing understood that the bilateral exercises were a response to North Korea's alleged sinking of the South Korean corvette Cheonan in March, it still objected strongly to the presence of the aircraft carrier George Washington so close to Chinese shores. The first of the drills was conducted by Type 022 Houbei-class fast missile-attack vessels of the 16th Fast Attack Flotilla of the East Sea Fleet. The Type 022s, each carrying eight YJ-83 long-range anti-ship missiles, is an important element of China's littoral defense doctrine, using 'wolf pack' tactics aimed at harassing larger enemy fleets from a distance. The most significant outing came later in July when at least a dozen warships from all three fleets conducted a maritime exercise in the South China Sea. They included the most modern vessels from the PLAN's surface and submarine fleets: Type 051C Luzhou, Type 052B Luyang I and Type 052C Luyang II destroyers, Type 054A Jiangkai II frigates, all four of the East Sea Fleet's Sovremenny destroyers, and Kilo-class attack submarines, with JH-7/7A fighter bombers providing air cover. Numerous live-firing and missile tests were carried out. The exercise received widespread domestic media coverage and was attended by a large number of high-ranking PLA personnel, including General Chen Bingde, a Central Military Commission member and Chief of the General Staff Department, who called upon the PLAN to 'pay close attention to regional situations, and be militarily prepared'. Amid tensions in the South China Sea, this long-range combined-arms exercise sent a clear message of deterrence to China's neighbours. It displayed China's abilities and willingness to project its naval power to the South China Sea in a flexible and comprehensive manner. The naval aviation branch of the PLAN, the PLA Navy Air Force, has provided extensive support towards these efforts. The above is a pointer to first to the SE Asian littorals and to India that the Cliché,” slowly- slowly catchy monkey” is what China believes in! Since December 2008 it has deployed naval vessels to the multinational anti-piracy mission in the Gulf of Aden. Each four-month rotation usually consists of two destroyers or frigates and one replenishment ship. The PLA terms these 'military operations other than war', and sees them as an opportunity to train officers and test equipment. China has established arrangements for resupply ports. 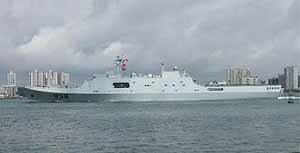 Chinese warships visit Djibouti, Salalah in Oman and Aden in Yemen. China's task force has also begun to participate in meetings at which navies exchange operational information. The PLAN flotillas have participated in joint exercises and officer exchanges, and have been keen to gain experience of anti-piracy tactics from other navies. The PLAN has expressed an interest in taking on more of a collaborative role in the anti-piracy effort, which would be a significant step of its overall approach of acquiring long sea legs. The PLAN's largest vessel the Kunlun Shan, a 17,000-tonne Type 071 Yuzhao-class landing platform dock (LPD), was dispatched to the Gulf of Aden, carrying a platoon-level force of PLAN marines – the elite of the Chinese navy. With Z-8 medium helicopters, a new landing craft and two new speedboats, the Kunlun Shan was able to test the navy's expeditionary capabilities – vital for a vessel that would play a crucial role in any military action against Taiwan. In August helicopters and marines deployed from the Kunlan Shan repelled three groups of pirate skiffs.